Easy-to-make hors d’oeuvres for warm weather entertaining. 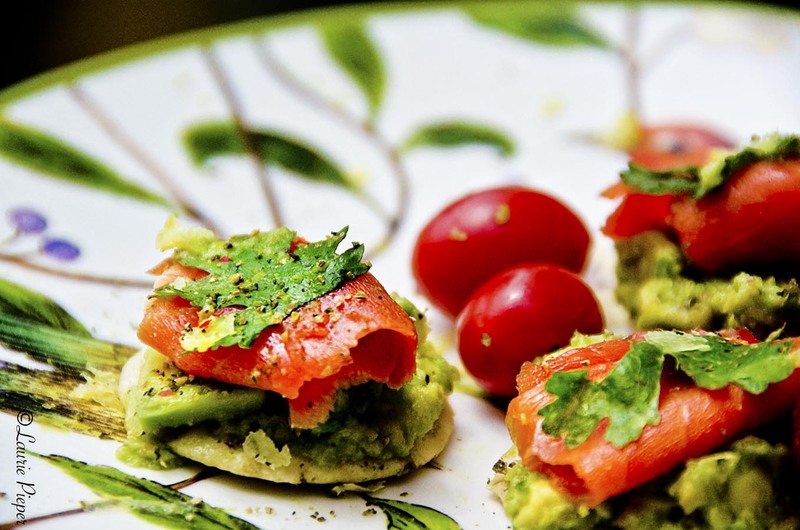 Coarsely mash avocado together with lemon juice, a few minced cilantro leaves, and salt to taste. Spoon onto crackers. Top with salmon, cilantro leaves, lemon zest and fresh ground pepper. Serve immediately. Enjoy! 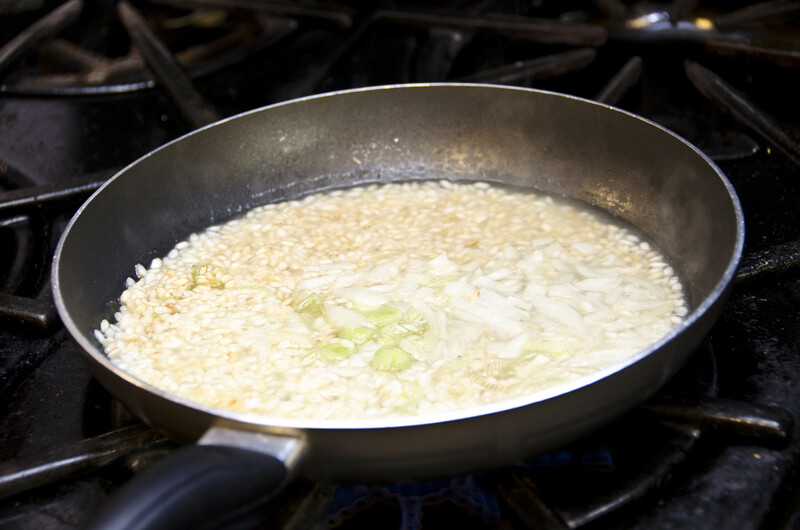 (1) Pour some olive oil into a large skillet … enough to almost cover the bottom in a thin layer. Preheat skillet over medium-high heat. (2) Add some rice, enough to cover the bottom of the pan. Lightly cook the rice in the oil until it turns a pale golden color and almost translucent, shaking the pan occasionally. (3) Add a little garlic and/or onion. Stir and quickly saute, then add a little of the vegetable or chicken stock … enough to cover the rice in a thin layer. Have a sip of wine. (4) Simmer until the liquid is absorbed. Once it is absorbed, add a little more stock … again enough to cover the rice in a thin layer. Have another sip of wine … and so forth. (4) Simmer until the liquid is absorbed. Add enough wine to cover the rice in a thin layer. (5) Simmer until the wine is absorbed. Add a little more stock … again enough to cover the rice in a thin layer. (6) Keep adding stock in small amounts, allowing it to completely absorb before the next addition, until the rice is almost cooked to desired consistency. The process up until this point takes about 30 or thirty-five minutes. (7) Stir in veggies and/or meat or fish. (If the veggies/fish/meat is raw, add a little earlier than if it is already cooked.) Add a little more liquid. Simmer until absorbed. (8) Continue until the rice has reached the desired consistency – soft, but not mushy – stir in a little butter and then parmesan cheese. 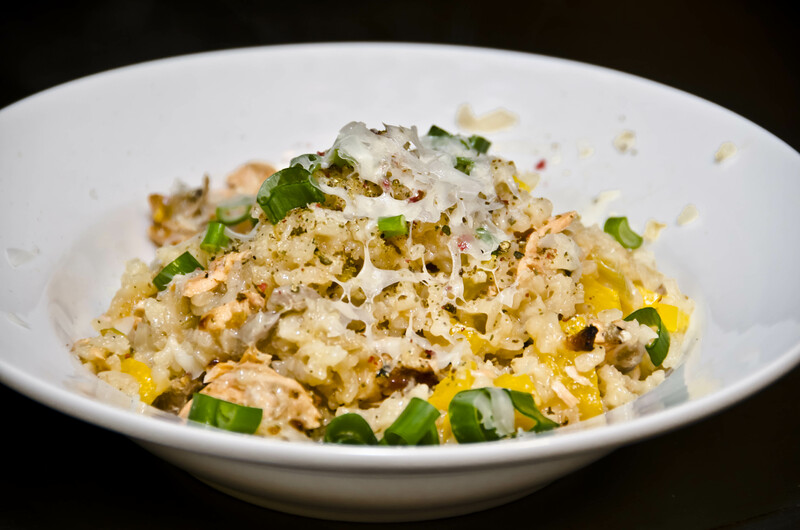 The more butter and cheese, the creamier but less healthful the risotto. Salt and pepper to taste. How much to add is a matter of personal taste. (9) Garnish as desired. Serve with tossed green salad and Italian bread. 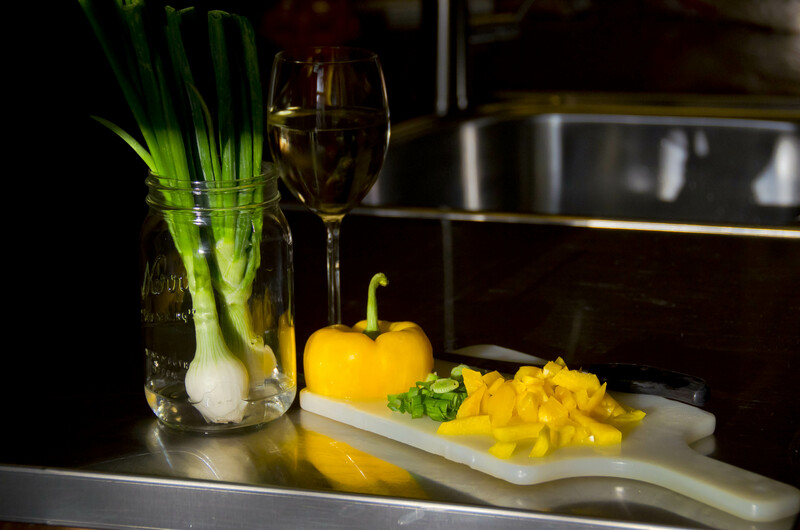 For the risotto that I made tonight, I used garlic, white bulb onions, and yellow bell peppers. Just before it was finished, I divided it into two pans. To the half that was to become my husband’s dinner, I added sliced chicken-pineapple-bacon sausage that I had cooked up while the rice was simmering. To my half, I added left over Scottish salmon from dinner last night. Once you know the basic technique of making risotto, anything is an option! Be creative and enjoy! Let me know if you have any questions … I’ll do my best to answer them.